Adversity happens to all of us. I have learned that you cannot control a lot of things that happen in your life and you cannot control the feelings that come over you. However, you can control what you do with those feelings. Only you control how you let the events in your life affect you, your future and the future of your family. It is interesting to me that two people can have similar adversity in their lives and yet each will come out of it differently. One may fall apart mentally and emotionally because of the difficult events they experience. The other will use the same difficult events as a learning experience and come out better for it. We can either allow our circumstances to make us miserable or we can choose to use it to make us strong. Only we can decide which it will be. Other people and other things cannot make this decision for us. Instead of feeling sorry for yourself, choose to focus on the good things in your life. They are always there. Sometimes you just need to look a little harder. And on the flip side, there are always people that are so much worse off than you are. Truly be thankful for the positive things in your life. We have the chance to pursue our dreams and make our lives what we want them to be – only the sky is the limit. Close your eyes and think of it this way. If your life could be anything you wanted it to be, realistically, what would that look like? How is it different than the life you have now? What do you need to do differently to make the life you want it to be? Then put a plan in place to make it happen. Remember, it is progress that matters, not perfection. It is OK to cut yourself a little slack. Sometimes lessons in life come the hard way. If we pay attention and make the changes that are necessary, adversity can put us in a better place. Often you may find that what seems like a major problem you can turn around to be a major opportunity. For example, after being laid off from your job, you may find an entirely different line of work that turns out to be even better and would probably not have happened if you had never been laid off in the first place. Because of personal adversity, I now feel that I can handle just about anything. My experience has also taught me to “not sweat the small stuff”. What once seemed so important is much more in perspective now. I believe adversity provides us the ability to grow, learn and become stronger, if we let it. We cannot control the past but we have control over the life we build going forward. It is up to us to make the life we want for ourselves. There is always hope. If we really set our mind to it and work hard, we can have a great life no matter what is dealt to us. While in the process of divorce with no child support, alimony or other source of income, Nancy moved with her children 70 miles away and started her own business. At the new location Nancy was offered a salaried position at a higher pay than she had ever received before but realized they were hiring her at “the top of the ladder” leaving no place to grow. Nancy did not want a job - she needed a career. Nancy built her new business from scratch to approx. $200 million in assets under management and 1,200 clients. Nancy also became one of the few Certified Divorce Financial Analysts in the State, and has testified in court as an expert witness for divorce. In 2007 Nancy sold her business, and is now a national speaker and coach to help business owners do a better job for their clients while improving their bottom line, and to help individuals live a successful life and realize their dreams. 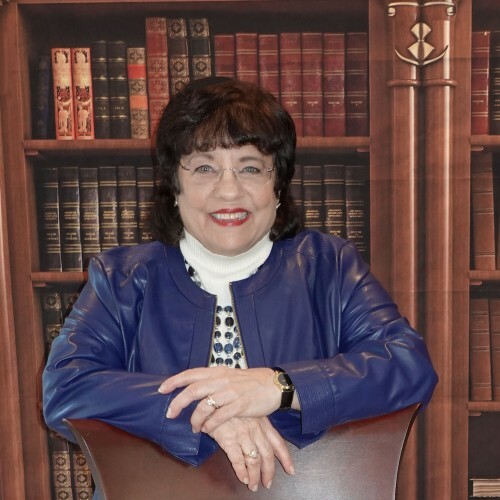 Nancy has been quoted in many local and national publications including USA Today and The Day and has been a speaker for major corporations such as Pfizer, General Dynamics and Dow Chemical. For more information, please visit aboveallelse.org. View all posts by Nancy Butler.